MEII Enterprises was honored to have The Heritage Ensemble’s recent album—“Obrigado Brasil!”—selected as one of two premiums in the Latin-jazz category for leading jazz radWBGO’s recent fundraising drive courtesy of DJ Awilda Rivera. “Obrigado Brasil!” is the seventh album from The Heritage Ensemble featuring multi-Grammy nominated drummer Bobby Sanabria, saxophonist Michael Hashim, bassist Frank Wagner, percussionist Matthew Gonzalez, and Leader/pianist Eugene Marlow. 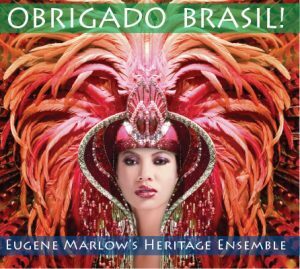 “Obrigado Brasil!” along with other Heritage Ensemble albums can be found at www.cdbaby.com/artist/eugenemarlow. In the world of academic instruction there are many books—especially textbooks—that are quite long (and expensive) but have little to say of any substantive consequence. Then there are books that are relatively short but are packed with relevant information and do have something substantive to say. 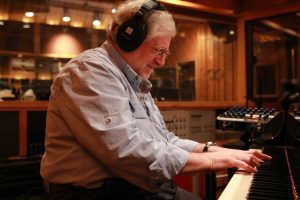 Jazz Improvisation, Practical Approaches to Grading by performer, composer/arranger, producer, clinician, educator, and author in both instrumental and vocal genres Antonio J. Garcia belongs in the latter category. Why? Garcia tackles the subjective issue of grading a student’s improvisory technique, skill, and creativity in a way that opens the pedagogic challenge to a larger discussion; it is an issue that goes beyond the teaching of jazz improvisation. There are numerous subjects in a student’s fundamental education about which subjectivity or creativity do not begin to enter the discussion. Such subjects could include mathematics (2+2 still equals 4), accounting, chemistry, physics, et al, in other words any subject for which there is no debate or creativity required (this is not to say that at some point the basic tenets of a subject are not open to examination or paradigm shift; it just means that there are subjects–such as geometry and calculus–that require more mastery than creativity). On the other hand, there are subjects for which there is a requirement to master basic rules, but for which creativity and subjective application are requisite for success. Such courses might include English, journalism, and anything in the fine and performing arts, et al. In other words, in these kinds of courses, there are rules to master, but there is also room for creativity and subjectivity. Thus, there is the issue of grading. 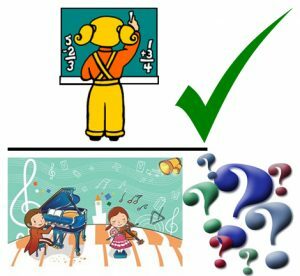 How do teachers grade creativity and subjectivity? In the former classes a teacher merely tests a student’s rote understanding of the material (2+2=4), but in a course that requires a mastery of rules or techniques, grading a student’s creative application of the rules or techniques is, well, subjective. Or is it? There is much useful information in Garcia’s 135-page book that answers this question. To answer these questions Garcia reached out several years to nearly 200 jazz educators from all over the world, plus jazz educators from the now defunct International Association for Jazz Education (IAJE, an association that has morphed into the Jazz Education Network or JEN). His grading model is also based on an IAJE Roundtable and his own extensive pedagogical experience. The “Self-Study on the Grading of Your Jazz Improvisation for Credit” questionnaire is included in Chapter 2. One of the other conclusions he comes to is “. . . it is the inexperienced or ineffective teacher who places emphasis almost exclusively on technical skills.” Again, this is also true of teachers in subjects that require a modicum of creativity and out of the box problem-solving. Chapter 3 provides the “meat” of this book. 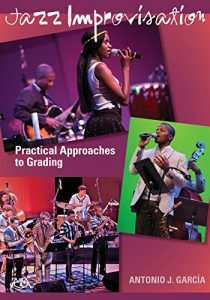 It includes almost three dozen specific commentaries from leading jazz educators with respect to grading philosophy, grading policy, grading creativity, and topics emphasized. In effect, not only do you hear from Professor Garcia’s voice, you also hear the approaches of a broad spread of jazz educators with respect to grading jazz improvisation, including Darius Brubeck, Bob Sinicrope (recent JEN President), Mark French (Berklee College of Music), and Jamey Aebersold. Jazz Improvisation, Practical Approaches to Grading is not just for jazz educators who teach improvisation. The philosophical heart of this book is about bringing out the creative best in students, albeit by starting with the fundamentals. It is about approaching each student as an individual learner with varying degrees of talent and intellect compared to others. It is not just about grading, it is about how to be a more effective teacher. Keeping an open mind allows for a more interesting and better end product. This is true in business, academia, or the arts. This may seem like a simple, no-brainer piece of advice, but the ability to step back from preconceived notions and allow others into the process without judgement or outright rejection takes an open attitude. In other words, he wanted me to create a piece of music—around four minutes–that would become the score for the video. Dean Romero was aware of my various music activities within and outside the college. I was a logical choice to be involved with this. I asked him for some thematic direction and some words he thought might be included in the track. It was agreed almost from the outset that the music track should incorporate lyrics, as opposed to a purely instrumental approach. My next step was to contact Janet Lawson. Janet is not only a highly respected, Grammy-nominated singer, she also teaches vocals at The New School in New York City. More importantly, she is a gifted lyricist. We had previously worked together on several other projects where I had written the music and she had crafted the lyrics. She has a knack for coming up with just the right words to express a feeling or a concept. Her lyrics also convey some emotional depth. I met Janet at an ASCAP-sponsored jazz songwriting workshop led by the late Dr. Billy Taylor in 1980. After conveying to Janet the themes the Dean was looking for, I asked her to come up with a few lines, just to see if we were on the right track. 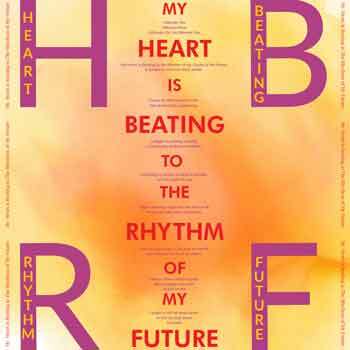 Within 24 hours Janet sent me this opening lyric: “My Heart Is Beating to the Rhythm of My Future.” Immediately I thought it was just right. I passed it on to the Dean who concurred. We had a very good beginning. I ask Janet to expand on this theme. A couple of weeks later she sends me a more developed set of stanzas with a refrain: “I wonder yes, I wonder why, I wonder, do you wonder too?” It was just right given the academic context of the prospective video. However, at this juncture I was beginning to come to a realization. While neither of us had ever been associated with a hip-hop or rap music project, she had inadvertently written an opening lyric with a strong four beat rap feel. Surprise, surprise, surprise. Problem was not all the lyrics had internal or ending rhymes. We went through four iterations of the lyrics before it was right. The Dean approved. 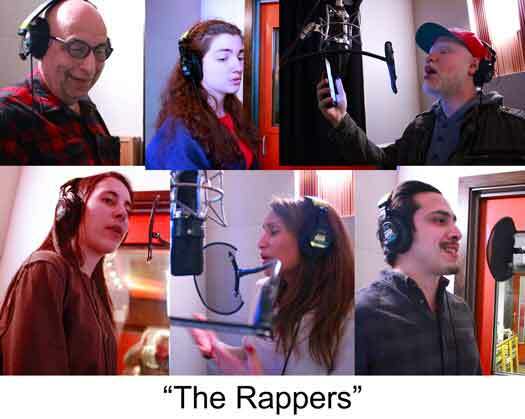 The next challenge was finding young rappers to record the lyrics. I thought this would be a relatively easy task. Not so. Also, there was the issue of scheduling the recording session. 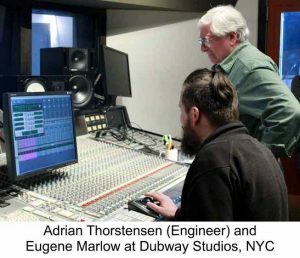 It took several weeks to find enough rappers who could record all on the same day at Dubway Studios (NYC). We ended up with several members of The Blue Notes, a Baruch College a cappella group, a jazz bass student from The New School with a propensity for rapping, plus a couple of youngish professional Hispanic singers. The icing on the cake was Dean Romero himself who was present at the recording session. When I turned around and said I really needed one more voice, his hand went up in an instant. His voice is included in the rap’s “I wonder how” refrain. The overall structure of the track was in three sections: opening lyrics, an in-the-middle instrumental interlude, closing lyrics. It was my concept going in that given the diversity of Baruch College’s student body—it is the most diverse public college in the United States—that this should be expressed somehow in the music track. This is what we did. Working with engineer Jim Gately at Valhalla Studios (New York City), we chose 10 public domain hip-hop/rap drum tracks from the Internet. We then laid these out in a somewhat arbitrary order. As it turned out, it was the right order. 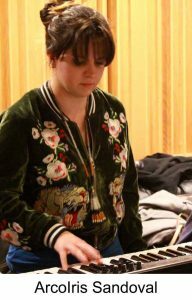 When we got to the middle “instruments only” section I had jazz pianist virtuoso ArcoIris Sandoval improvise different culture sounding melodic lines using an electronic keyboard that could generate different instrumental sounds. Each instrument melodic line lasted 18-seconds. For one of the lines I had her record the opening section of Bach’s C-minor Prelude from the “Well Tempered Clavier” on the Rhodes keyboard that just happened to be sitting idle in the Dubway recording studio. She also improvised lines for sitar, koto, steel drum, South American pan flute, and Middle Eastern horn. The two other improvised “instrumental” melodic lines were provided by Jim Gately (who also plays guitar) and Michael Hashim who recorded a “jazz” line on alto saxophone. All told the eight middle section instrumentals convey a sense of world music and, therefore, of a diverse culture. When I delivered the mastered track to the Dean he immediately auditioned it for several student groups. According to the feedback the track hit the mark. The students got it. Once the video is shot and edited to the music track, Dean Romero intends to distribute the music video to as many outlets as possible. If you’re interested, you can listen to a sample of the track at https://store.cdbaby.com/cd/eugenemarlow15. Fittingly, the lyrics to “My Heart Is Beating to the Rhythm of My Future” reflect the theme of keeping an open mind in the creative and learning process. 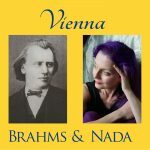 On May 7, 2017 award-winning classical pianist Nada will release “Vienna: Brahms & Nada” the second in a series of solo piano works by the prolific Romantic-era composer Johannes Brahms on the MEII Enterprises label. May 7 is Brahms’ 184th birthday. Nada recently talked about her affinity with Brahms and how her relationship to his solo piano works evolved. Q: What was your first encounter with Brahms’ music and when did you start playing it? 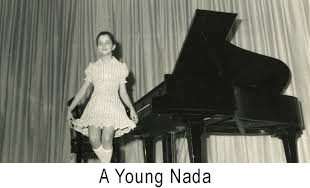 Nada: “I was still growing up in Beirut, and probably not even yet taking piano lessons when I first heard his music. The two first pieces I heard were his piano concerto No. 1 and the Double Concerto. About the piano concerto, this memory is linked closely to my godfather—who also introduced me through his collection of records to a great number of classical repertoire—who would talk forever while listening to the piece about the long genesis of this work. The Double Concerto Op. 102 was a recording belonging to my dad’s collection of LPs. There was something very deep about Brahms, I could feel, but it seemed unreachable at the time. This music got stuck in my head. I could tell when I returned to it only a few years ago. It seemed like it had never left me. “My first attempt to play his music was much later. 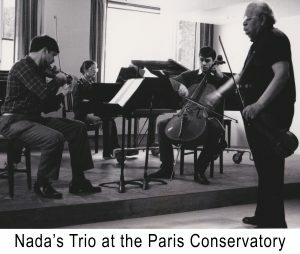 I had already graduated with a First Prize from the Paris Conservatory, with music by French composer Henri Dutilleux, some Liszt, Bach and Haydn. 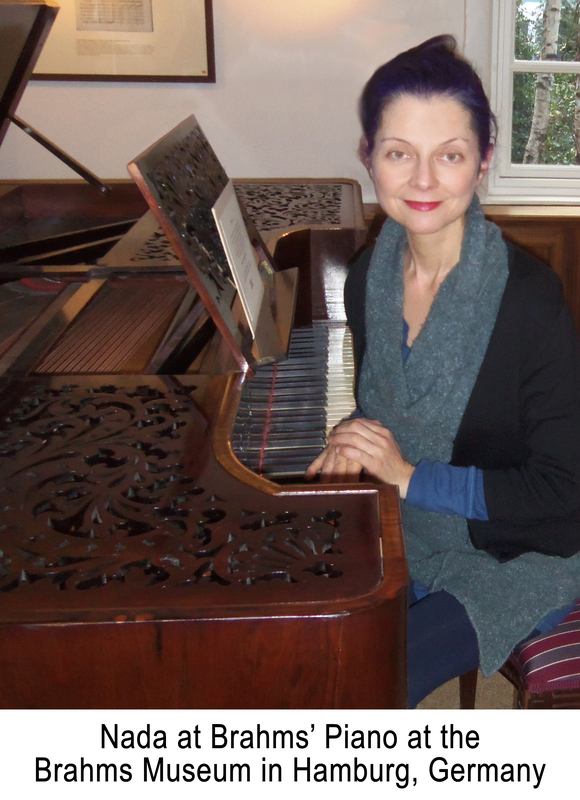 I had been labeled as a new Clara Haskil and played Mozart, Schubert. Haydn so well it earned me First Prize. “I formed a piano trio shortly after. 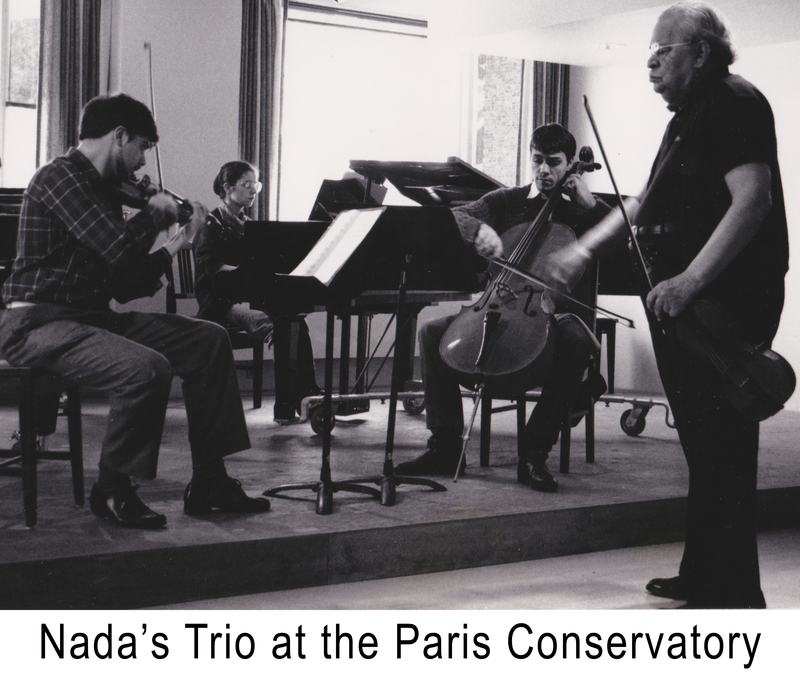 The first two works we planned to perform were: the trio by French composer Ernest Chausson and, of course, the first piano trio by Johannes Brahms, an extremely popular piece for this formation. I felt pianistically and emotionally at ease in Brahms’ music though my understanding was very limited, I know. This happened to be, incidentally, a very grueling experience for me. I performed this program only two weeks after the tragic death of my mom in a bomb explosion in our home in Beirut. 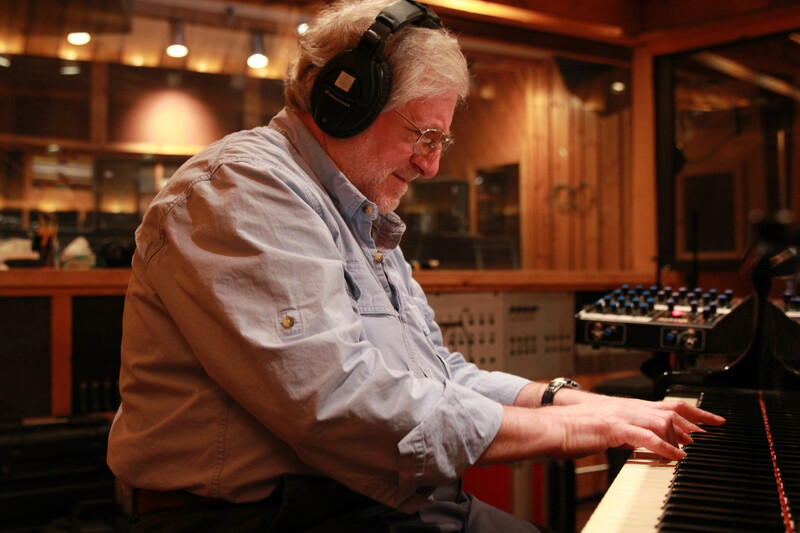 “Again, sporadically and with great intervals in between, I touched up on two solo pieces. I was already living in the U.S. by then and married. My husband himself was a trained musician and pianist. He instigated an old interest I had in Brahms’ second piano concerto. This piece, for which I had already acquired the music, always seemed to be the whole world, despite the fact that I did not know it well at all. But what I gathered was that everything was in those notes, everything you can ever imagine and say in music. This was my impression. So I set to learn it in a few weeks. I still don’t know how I did it, but I was able to play through it for a very small audience with my husband then at the second piano playing the orchestral reduction. Then it disappeared from my repertoire as quickly as I had learned it. The same fate befell the Fantasies Op. 116 which I learned only for the purpose for a recording as a good complementary piece to the seldom recorded Paul Dukas piano sonata. Absolutely unintentional was the fact that this CD, my first, was to be released on Brahms centennial death anniversary in 1997. This album is now reissued on the MEII Enterprises label. 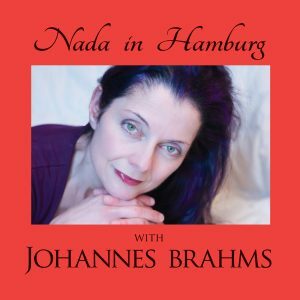 Q: You seem to point to the fact that you do not know the composer well, yet you released a CD in May 2016 (“Nada in Hamburg with Johannes Brahms”) of his lesser known pieces described by most reviewers as “with a special affinity with the composer’s music.” You’re about to release a second album of Brahms works for solo piano (“Vienna: Brahms and Nada” MEII Enterprises May 7, 2017) and more may be on the way. What has prompted you to go on with this journey now? Q: How did this happen? Why this sudden knowledge? It sounds like you walked side-by-side with Brahms for a long time, yet he was not really part of your life. Am I correct? Nada: “Absolutely!!! It is like my entire life I respected a musical figure, unquestionably one of our greatest composers, not daring or even being capable of entering his world. And, on one memorable night, while listening to his ‘Ein Deutsches Requiem,’ this very unique prayer to eternal life and life after death, as no other piece or requiem has ever come close; did I even know it then? But that night, the light came through. “I lived the experience as magic. The sounds of ‘Ein Deutsches Requiem’ suddenly, and yes, suddenly became the most magnificent music, the most beautiful and moving music I had ever heard until now. I was riveted to the sounds and tears fell down my cheeks. I felt absolutely blessed and lucky to be able to see him and feel the deep joy and beauty of it all. Q: Do you now feel differently about your understanding of his music/personality? 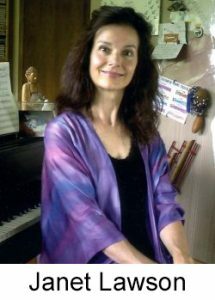 Pianist Nada, a U.S. citizen of Lebanese/Hungarian descent, with an award-winning Paris Conservatory education, enjoys a career as a soloist, radio broadcaster, and educator. She was a first prize winner at the Paris Conservatory who then came to North America for advanced studies at the Banff Center for the Arts in Canada and at Indiana University in the U.S. with the late pianist Gyorgy Sebok. Her last recital tour took her to Tokyo and Nagoya, Japan. In Paris and New York City, she has premiered works by great Lebanese composers Bechara El Khoury and Elias Rahbani and recorded pieces by classical/jazz composer Eugene Marlow. Nada has notably performed piano concertos of Bach, Mozart, Beethoven, Brahms, Chopin, Grieg, Rachmaninoff, and Ravel with orchestras in the U.S. and served as Artist-in-Residence in colleges and universities. 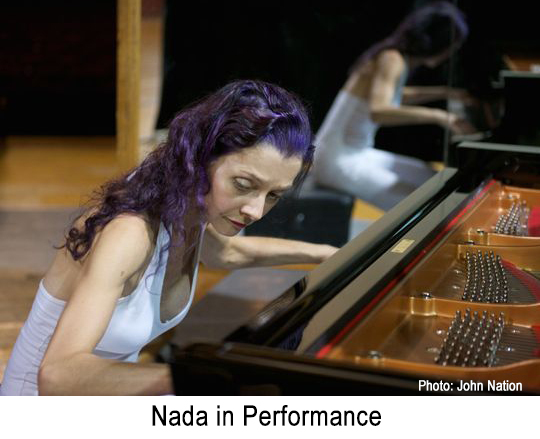 Nada has recorded four solo piano albums all of which are now on the MEII Enterprises label. They can be found at www.cdbaby.com/artist/nada4. The article Marlow Has Music & Journalism in His DNA is drawn from a podcast interview Dr. Eugene Marlow gave on “College Talk”—a weekly video program exploring the lives and work of the people of The Weissman School of Arts & Sciences at Baruch College. Marlow has been a professor at Baruch since 1988. The Marlow podcast interview is entitled Jazz and the Evolution of Media in the 21st. Century. The program is hosted by Dr. Aldemaro Romero Jr., Dean, Weissman School of Arts & Sciences, Baruch College (CUNY).